The Vietnamese Government and localities are willing to create favorable conditions for US businesses to implement investment and cooperation projects in the country. 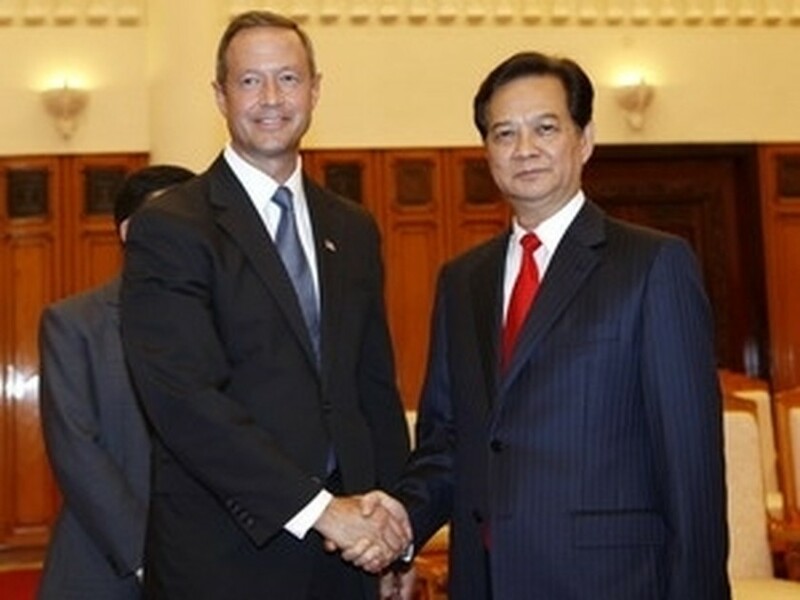 Prime Minister Nguyen Tan Dung made this affirmation at a reception for visiting Governor of the US state of Maryland , Martin O’Malley, in Hanoi on June 10. PM Dung warmly welcomed the Governor of Maryland and the state’s businesses to seek investment opportunities in Vietnam and in the central province of Ninh Thuan in particular. He said he is pleased with positive developments in the Vietnam-US friendship and cooperation in various fields, bringing benefits to both countries. “ Vietnam wants to join the US efforts in making the bilateral relations deeper and more practical and effective for peace and development in the region and the world at large,” he said. According to the Vietnamese PM, the two countries should tap their potential for cooperation more effectively in the future as two-way trade stood at only 15 billion USD. PM Dung thanked the US government and Maryland leaders for their assistance for the Vietnamese community in the US . For his part, the Maryland Governor expressed his impressions of the economic development of Vietnam and the dynamism of the Vietnamese people. Martin O’Malley affirmed that his state authorities will make efforts to foster cooperation between the two countries’ localities and businesses, particularly in trade, investment, science and technology, education and training. He also thanked the Vietnamese Government for its cooperation with and support for the US in searching for missing in action servicemen. During his visit to Vietnam, the Maryland Governor worked with Deputy Minister of Planning and Investment Bui Quang Vinh and witnessed the signing of five cooperative business agreements in health and environment. He also signed a memorandum of understanding on cooperation between Maryland state and Vietnam ’s central province of Ninh Thuan to increase mutual understanding, and promote trade and business ties.